If you’re the head of a German automotive company that existed prior to 1945, I submit that a key element of your job is: not invoking the Holocaust. 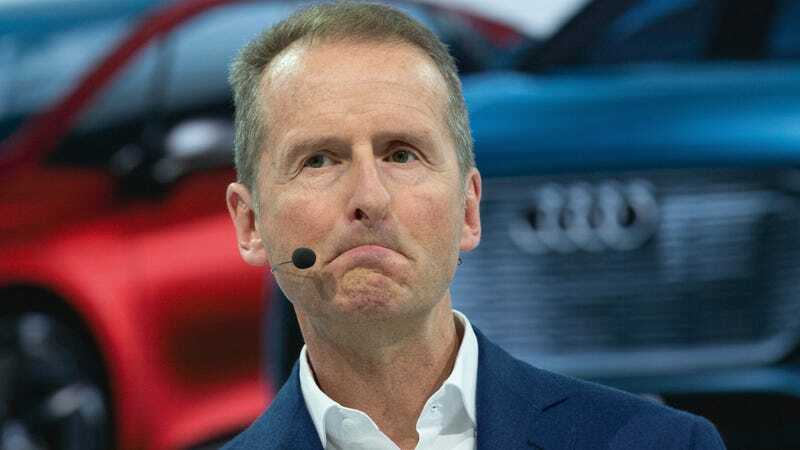 This rule applies perhaps most of all to the head of Volkswagen, a company that, for reasons both fair and unfair, is most associated with the Nazi regime of any of the major automakers. I’m mentioning this not because I feel a need to randomly remind German car executives not to invoke the Holocaust. It’s too late for that. On Tuesday, Volkswagen chief executive Herbert Diess did that very thing, as reported in the Financial Times. Within the Volkswagen Group, there are brands with different operating margins. Experience at Volkswagen shows that brands with higher margins normally have greater freedom of choice within the group. My statement referred to this fact. At no time was it my intention for this statement to be placed in an incorrect context. At the time, I simply did not think of this possibility. I feel like if I was a German car executive, I would 1. take a minute to enjoy the fact that I’m very wealthy which must be nice and 1a. do absolutely everything required to ensure I never utter the phrase “macht frei.” There is simply no upside. Especially not to make a bad joke.